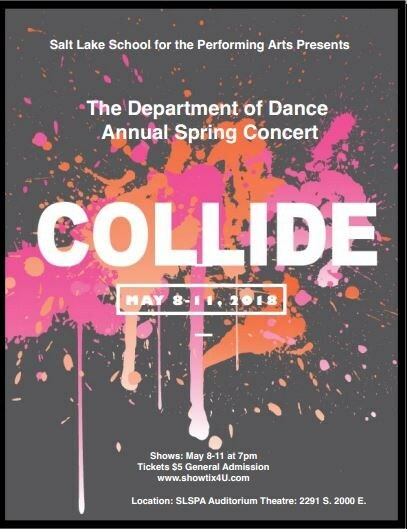 Don't miss the dance department's annual spring show, Collide, running May 8-11 at 7pm. Tickets are $5 and can be purchased from www.showtix4u.com. All shows will be presented in the SLSPA Auditorium Theatre.